Imagine if vegan beauty was more than a hashtag? Could the cute bunny on the packaging really make a difference? Here at The Urban List, we like to think so and because we are a socially responsible bunch who likes to support Australian companies, we have sourced the absolute best so you can treat yourself guilt-free. No need to thank us, we're here to share the love! Here are our top 12 Australian vegan beauty products including the perfect spring nail polish, body cream that smells good enough to eat and deep conditioning haircare. Sustainably aware, Kester Black offers a range of beautiful, quality products that have a positive social and environmental footprint. We particularly like the Nail Polish & Remover Wipes Set but can't decide between 'Peony' a gorgeous soft pink, 'Forget Me Not' the perfect pastel blue and the eye-catching 'Apricot Nectar'. Offering organic, ethical and sustainable skincare crafted in South Morocco, Akhal beauty provides an alternative to commercial argan oil. We love ‘multi-tasker’ and the versatile Organic Argan Kernel Oil is ideal to hydrate your face, neck and décolletage but you can also use it to nourish dry hair. Another favourite is the Organic & Pure Rosewater Mist to set your makeup or soothe your skin after a shave. If you want to know how to make your skin ridiculously happy, you should try a facial oil from Happy Skincare! The Laugh Out Loud organic and vegan facial oil comprises active jojoba oil packed with anti-oxidants and nutrients that help to reduce UV damage, stimulate healthy collagen production and reduce fine lines. IME is 100% natural, contains absolutely no toxins and is vegan-friendly. We also love the fact that each fragrance evolves with individual skin, the aroma changes over time to bring out the subtle qualities of a very personal scent. 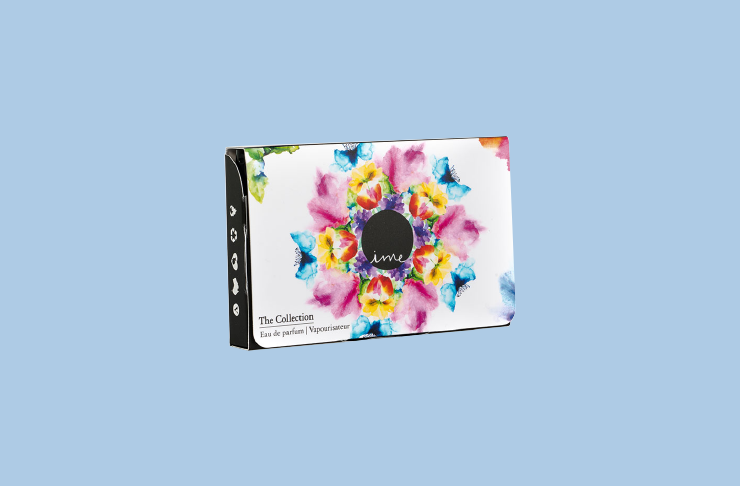 The collections pack is ideal to start you out as you get nine sample size fragrances that you can easily pop in your bag to freshen up through the day. 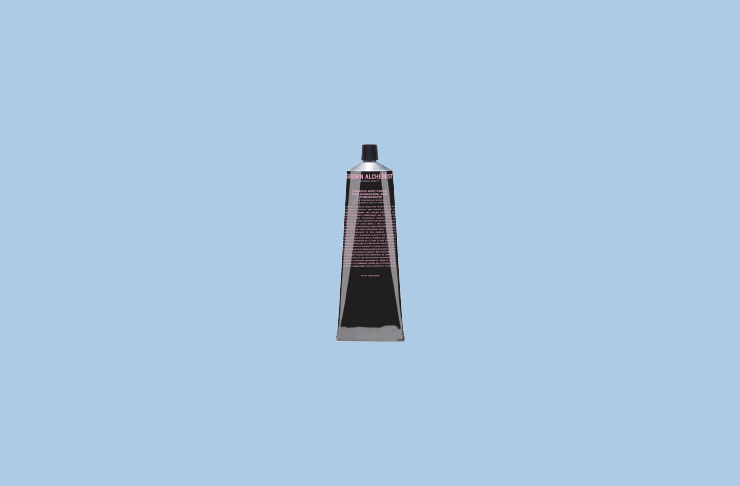 Did you know that topical skincare can be absorbed through the skin and then go into the blood stream? Well, we learnt something new too... Jacqueline Evans' range is made of natural and certified organic ingredients, cruelty-free and environmentally conscious, giving your skin the care and respect it deserves. And if there is one product that you owe it to your skin to try, it's the Olive & Macadamia Firming Body Oil. It has deep conditioning properties, reduces signs of ageing and stretch marks, and promotes skin elasticity and firmness. It may sound too good to be true but the changes are almost magical! Who else struggles to remove residue of a once upon a time glorious fake tan? 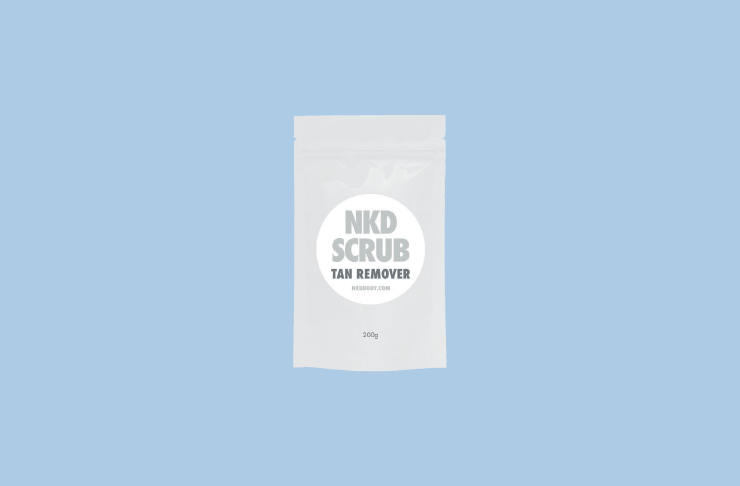 With the NKD Scrub Tan Remover it's never been easier. This product is designed to remove faded tans and prep your skin for your next application and doesn't contain any chemicals or test on animals. Obviously, you can also use it as a general body scrub as it will leave your skin silky smooth, with a divine citrus scent! If you haven't been blessed with a beautiful bronze glow and you tend to blend in your white bed sheets, it's likely that fake tan is part of your beauty ritual. This multi-award winning Australian brand is accredited toxin-free, certified organic and vegan and we had an instant-crush on it! The Face Tan Water doubles up as a fabulous toner and is specifically targeted for the face, neck and décolletage, giving a beautiful gradual glow without a hint of synthetic ingredients. Their philosophy is simple, providing better beauty results without harmful artificial chemicals. The products range from anti-ageing skincare to body and haircare, all using only certified organic ingredients with a sustainable approach. The Intensive Rosa Damascena, Acai and Pomegranate Body Cream contains more superfood than your breakfast bowl and not only does it smell delicious, it also leaves your skin super moist and revitalised. Hair is a girl’s crowning glory! It should be cherished, nurture and deserve special care and attention. Bhave is free from parabens, sulphates, sodium and chloride and only sources carefully selected organic ingredients. The secret to jaw-dropping hair is found in the active raw keratin technology, basically rebuilding every strand of hair from inside-out. We happily give our seal of approval to the Rescue Shampoo & Conditioner but you can choose targeted treatments. Hanako’s range of therapeutic products was created to provide a healthy, natural solution to synthetic scents. The blends smell divine and embrace the healing properties of nature while being completely cruelty-free. When added to your routine, you can seriously benefit from the energetic healing of alternative health aromatherapy. To unleash the goddess within, we recommend the Cathedral Rock Vortex Essence created to empower and heal women. We couldn't write about cruelty-free beauty and vegan skincare without mentioning Aesop. Known for their quirky shops and unique minimalist packaging, this iconic Australian brand is a precursor in the cosmetic industry and celebrating their 30th anniversary since the foundation. It was difficult to pick only one product as we love so many. Control is an instant spot treatment and a long-time favourite, but we settled for the Protective Body Lotion With Sunscreen SPF50 to keep us safe from sun damage. Your liver is not the only thing that you can detox! The O&M Original Detox removes build-up deposits and treats your long locks using mint to deeply cleanse and peppermint oil for a cooling effect. Original Mineral is at the forefront of stress-free, chemical-free hair care and has pledged not to test on animals. Want more vegan things? Here are 14 foods that are accidentally vegan.